Both Ryan Bader and Tito Ortiz just made it official! They will face each other at the upcoming UFC 132. Tito Ortiz will follow his first win since October 2006, as he meets Ryan Bader at the upcoming UFC 132. Both fighters confirmed their match-up on their respective Twitter accounts. Former UFC light heavyweight champion, Tito Ortiz, was slated to face Antonio Rogerio Nogueira at the main event of UFC Fight Night 24. Unfortunately, he was forced to withdraw from the bout a couple of weeks ago due to injuries he acquired during training. Phil Davis was tapped to replace Tito Ortiz in the Octagon for this Saturday’s event. To duel against him is season eight TUF winner, Ryan Bader. He dropped the first fight of his MMA career, after being submitted by Jon Jones last February. His defeat paved the way for Jon Jones’ crack at the light heavyweight title match contra Mauricio Shogun Rua last Saturday. But prior to that, Ryan Bader carries a 4-0 record since his TUF 8 victory. UFC 132 has not yet made official by the promotion, but it is reported to kick off on July 2 in Las Vegas. The promotion also announced a rematch between BJ Penn and Jon Fitch recently. However, there are no confirmation yet as to whether the rematch will the card’s main event. 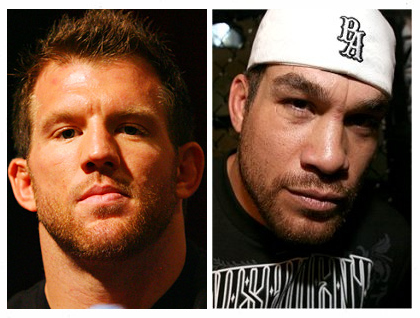 Is the Ryan Bader vs Tito Ortiz a good match-up? Share your insights by leaving a comment. Tito Ortiz' “Big, Big, Big Pay Cut”, a Trick? Tito Ortiz Accepts a "Big, Big, Big Pay Cut"